Akron. 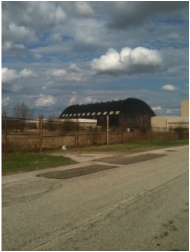 Ohio is the world headquarters of Goodyear, and of course the Goodyear blimp.Pehaps not as widely known by non-aviation nuts is the Goodyear Airdock hangar, a structure built in 1929 to house the airships of the day such as the USS Macon and USS Akron and which still stands today.. The cool thing about this building is it's sheer size-when built, it was the largest structure in the world unsupported by interior beams. This thing is huge, covering an area of eight football fields, with doors that weigh 600 tons! Sadly, it's not open to the public since the current owners, Lockheed Martin, are using it to develop lots of top secret defense stuff such as a dirigible that hangs out at about 60,000ft and removes the need to launch GPS satellites on costly rockets. Flight systems for the Cadillac of jet fighters, the F-22 Raptor, are also said to be tested inside as well as the latest laser defence systems (perhaps that's how the building almost caught fire a few years ago!). At any rate, the photo ops these days are understandably limited with security sweeps ensuring no one gets near the structure every five minutes or so according to some of the local aviators. 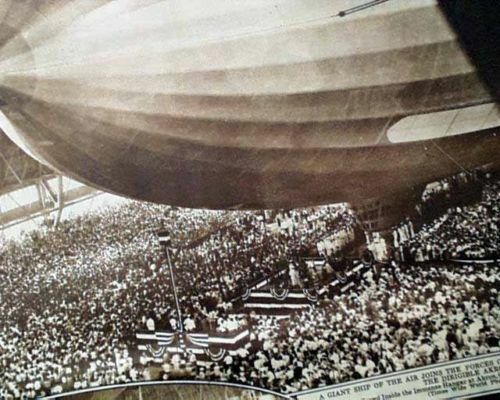 Christening ceremony of the USS Akron in 1931 inside the hangar. Lots of conspiracy theory stories around the hangar but really, it's a military development base and the guys working on the stuff there don't want unwanted visitors snooping around-the original owners already got their wrists slapped by the American government for inadvertently selling technological secrets to the Chinese, so it's no wonder the hangar isn't exactly an open house. 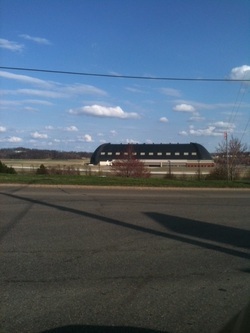 The pictures I took are about as close as you can get to the hangar. To the left of the photo you can see the main runway of the local airport and although the taxiway is accessible to private aircraft, no one is allowed to park at the south end anymore closest to the hangar. It doesn't look so big from a distance but suffice to say that it is so voluminous inside that it has been known to rain within the building. 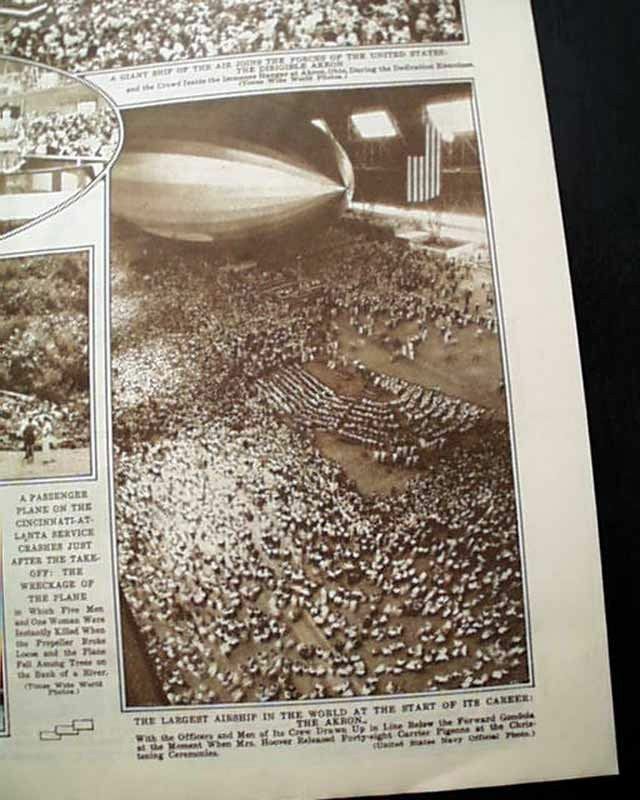 This image from the New York Times in 1931 gives an idea of how big the hangar is.